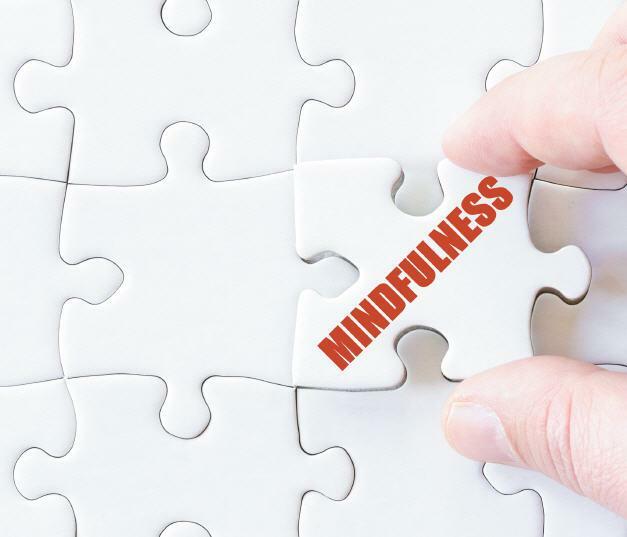 Mindfulness is quite the catch-word these days, although the concept is nothing new. Based on Eastern meditation practices, it’s a method for becoming present in the moment that is. Excessive worry and over-thinking can affect both mental and physical health, and the practice of mindfulness is a way to stop the fretting or “monkey mind”, as it’s known in yoga and meditation circles. Mental health professionals often recommend mindfulness practices to help treat anxiety and depression. Ideally, this meditation would take place for at least 10 minutes a day. But many of us already have too few minutes in the day to be able to slow down and practice meditation. The trick is to start incorporating a few minutes of mindfulness practice throughout the course of the day, in situations where you may have a few moments. Take a quiet time in your office or cubicle. Practice while you are sitting on the train or subway. Grab a few moments just after you open your eyes in bed or just before you close them. And, of course, one of the best places to get a little privacy and practice mindfulness is the bathroom. It could be a comment on the frenetic pace of society that the bathroom is one of the few places where we can safely get some peace and quiet these days. It’s one of our last refuges in an increasingly hectic world. Because mindfulness is often encouraged when you are seated in a chair, with a straight back, both feet on the ground, and your hands resting on your knees, it’s easy to see how this practice could easily translate to sitting on the toilet. After you finish your business, so to speak, reserve a minute or two to close the lid, take a seat, and seek some inner peace. 1. Sit comfortably, with both feet on the ground, back straight, and hands resting lightly on the knees. 3. Deepen your breath, feeling it start in your abdomen and move through your chest and out your mouth and nose as you inhale and exhale. 4. Take a moment to feel your tongue in your mouth. 5. Feel your hands on your knees. 6. Feel your feet on the floor. 7. Stay there for a few moments, letting your thoughts drift away like clouds, and focusing on the breath and the body. This practice will bring you completely into the present moment, which is essentially what mindfulness is all about. It’s the practice of paying attention to the present, rather than being caught up in the past or the future. Over time, you will learn how to slow down your mind and become less at the mercy of racing thoughts, which can contribute to anxiety. The great thing about practicing mindfulness in the bathroom is that you can seek a more peaceful state of mind without anyone being the wiser. This is just one way you can bring more self care to your life. Another way is to practice self-care is to use Aquinelle Toilet Tissue Mist. Get a cleaner and more pleasant bathroom experience by spraying your dry toilet paper and turning it into a damp wipe. Aquinelle Toilet Tissue Mist is available in six sweet scents, in both regular and travel sizes, so that you can have it at home and on the go.